Herbert Gordon Carter was born on24 March 1885at St Leonards, Sydney, eldest son of English migrant Herbert James Carter (1858-1940), a schoolteacher and prominent entomologist, and his wife Antoinette Charlotte, nee Moore. On 31 January inLondon, he married Lydia Kate, daughter of HJ King ofOrange, NSW. He died suddenly at Killara Golf club on11 July 1963, survived by his wife, two sons (one killed in the RAAF) and a daughter. He was cremated with Anglican rites. Gordon Carter was educated at SydneyGrammar Schooland The King’s School, Parramatta, before graduating with first-class honours in his Bachelor of Engineering from the Universityof Sydneyin 1908. He worked with the Department of Public Works as an assistant electrical engineer. In September 1914, Carter was appointed Lieutenant with the 1st Battalion of the Australian Imperial Force and served in Gallipoli and France, being promoted to Major. Returning to the NSW Public Works Department, he became chief electrical engineer before resigning in 1929 to enter private practice. He was a senior partner of Douglas and Carter. In 1953 the future Lord Mayor Leo Port also became a partner. Their projects included major electrical installations in Papua-New Guinea, the Burrinjuck dam, and a hydro-electric station in theBegaValley. Carter was on the council of the Institution of Engineers,Australia, between 1924 and 1928, and was president in 1943. He was a member of the Institution of Civil Engineers,London, and a fellow of the American Institute of Electrical Engineers. Carter was chairman of several companies and a director of Rabaul Electricity Ltd and Concrete Industries (Australia) Ltd. He was a member of the Australian and Sydney University Clubs and lived in Golfer’s Parade, Pymble. Carter was a director of Royal North Shore Hospital and a trustee of Lane Cove National Park. An accomplished musician, he played organ with St Swithun’s Church of England. Herbert Gordon Carter was awarded a Distinguished Service Order for his wartime service in January 1918. Carter was an Alderman on the Ku-ring-gai Municipal Council between 1935 and 1941 and served as Mayor in 1938-39. 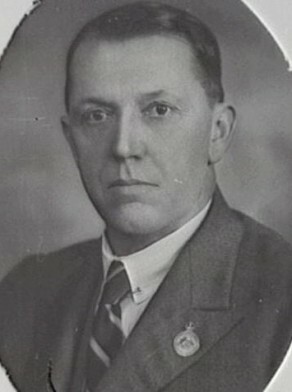 Herbert Gordon Carter was Alderman for Macquarie Ward, 6 December 1941 to 1 December 1950. He was a member of the Finance Committee in 1942 and 1949; vice-chairman of the Electricity Committee, 1942; member of the City Planning and Improvements Committee, 1942-50 and its Vice-Chairman in 1948; the Special Markets Committee, 1942; the Health and Recreations Committee, 1943-45; the Works Committee, 1944-47; and the National Emergency Services Special Committee, 1943-45. He was elected Council delegate to the Cumberland County Council, 1946-49. D. G. Gallon, ‘Carter, Herbert Gordon (1885–1963)’, Australian Dictionary of Biography, National Centre of Biography, Australian National University, http://adb.anu.edu.au/biography/carter-herbert-gordon-5523/text9405, accessed 23 January 2013. City of Sydney Archives: Aldermen’s Files; Photo: CRS 54/16.